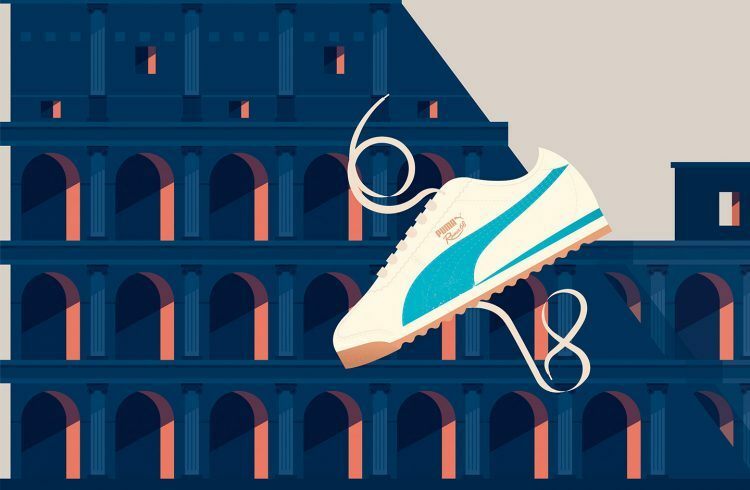 When the Italian Football National team won the European Championship in Italy 1968, PUMA celebrated the team’s historic win with a shoe. 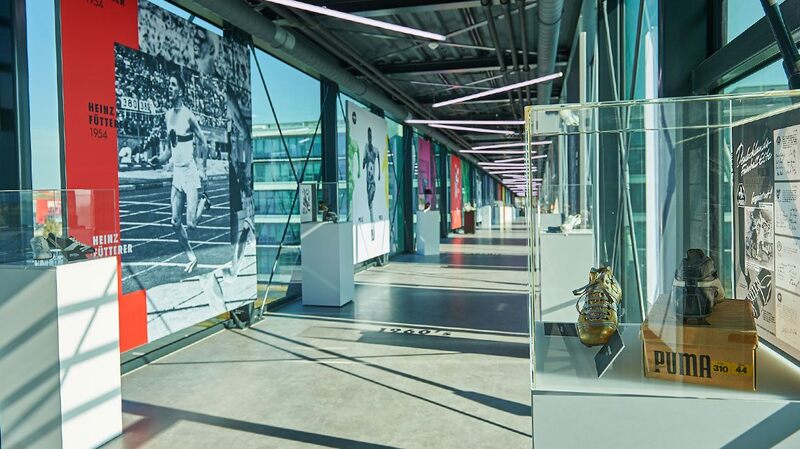 At that point, they could not have guessed that the ROMA would become one of the most iconic sport-turned street legends still looking fresh today! With its padded styling, the original ROMA was a training shoe geared for sprints, hurdles and sweatbands. Its versatile and sleek design then gained popularity among football casuals in the 80s and soon became synonymous with fashion and street culture for its retro, cool appeal. 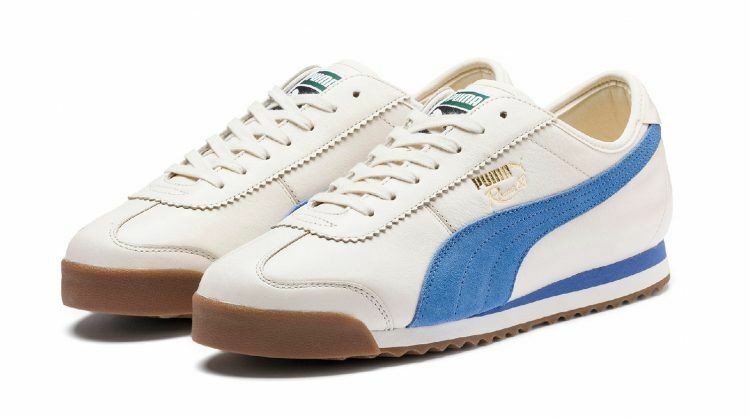 Its minimalist good looks made ROMA a classic PUMA legend. Over 50 years later, it returns through a series of drops and exciting collabs in 2019! The 2019 edition revives the ROMA OG in all its glory featuring luxe materials and the original colorways. “We wanted to stay as close as possible to the original shoe, from the material to the workmanship and paid special attention to strong, distinguishing details like the surrated facing for the laces and loop at the heel counter,” explains Torsten Hochstetter, Global Creative Director at PUMA. ROMA’s low-profile cut is fitted with a gum outsole and reinforced heel to provide extra comfort. 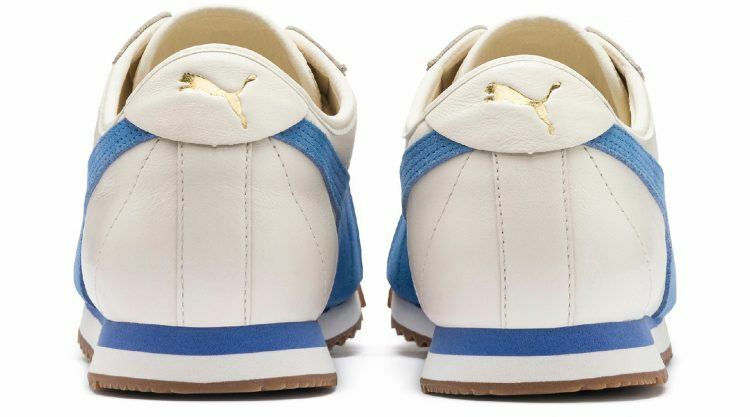 The debut sneaker pack comes in a white – blue colorway, with a blue Formstrip and gold branding on the upper. I loved the ROMA as a kid already. I always wore the shoe when I played football on the street. 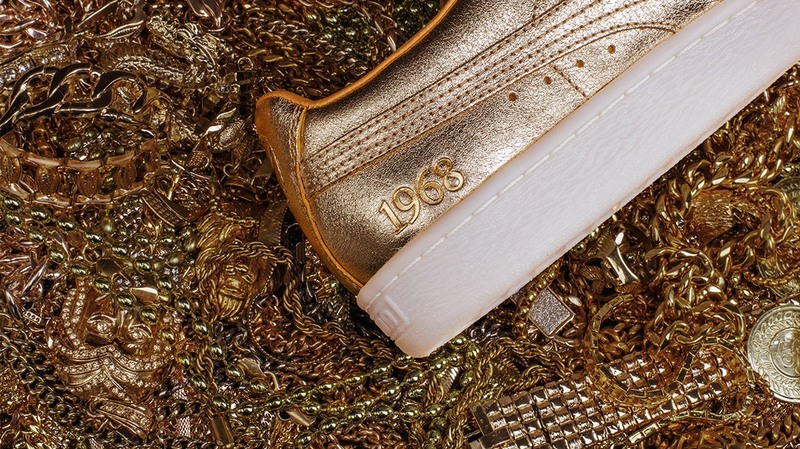 ROMA 68 OG drops globally at PUMA.com, PUMA stores and retailers on April 20, 2019. How the ROMA looked like back in 1968. The blue Formstrip was an hommage to “Gli Azzurri” (The Blues), as the Italian National team is nicknamed.